Just a few minutes’ walk and the delights of downtown Patong are waiting to be explored from street markets, shopping malls and fresh seafood restaurants to the excitement of Bangla Road walking street. After an adventure in the city, retreat to your tranquil sea view room at our Patong Beach hotel, enjoy lazy days by the pool and delicious cuisine at our poolside restaurant. 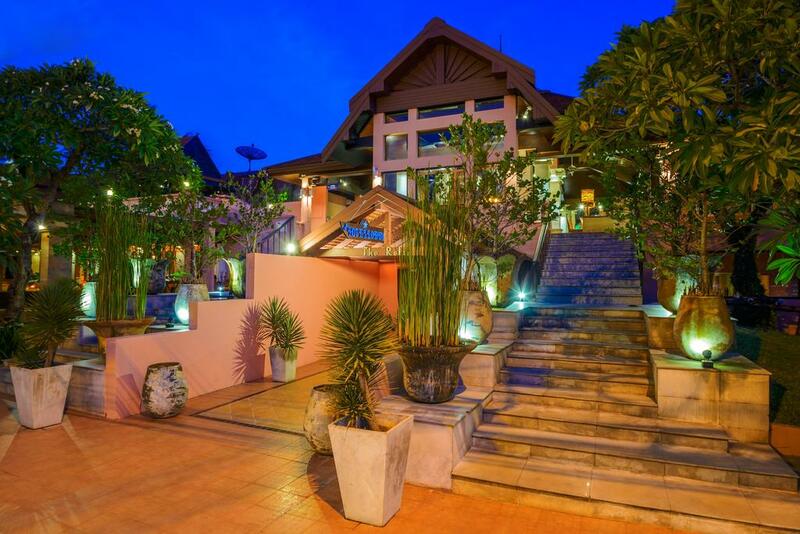 Across the street from Patong Beach, this relaxed hotel surrounded by trees is 7 km from Tiger Kingdom Phuket and 20 km from Wat Chalong temple. The hotel has an open-air restaurant, and other amenities include 2 outdoor pools and a kids' pool. There's also a spa and a fitness center.